Yes, Spotify knows how many times you've listened to the Pokerap. It's ok, don't worry, we've all done it at least once this week. As reported by Polygon, Spotify has revealed that global streams of the Pokemon Theme - that's 'Gotta Catch 'Em All' in case you're hunting - has increased more than 360% in the last week thanks to the release of Pokemon Go. Pokemon related streaming across the board has tripled and there's a slew of playlists just waiting for your baseball cap covered ears. 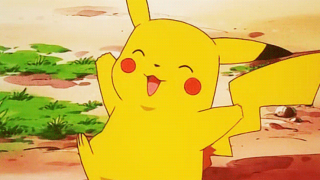 There are currently more than 190,000 playlists with Pokemon in the title and 53,000 simply called Pikachu. Below are the top five Pokemon related songs on Spotify if you need some sounds to accompany your wanderings. If you're just starting out, here's some Pokemon Go tips, find out what it's like to live in a house that's also a Pokemon Gym and read how the future of Pokemon Go means we'll be trading with friends. Plus, here's why your local landmarks are Pokestops in the game.